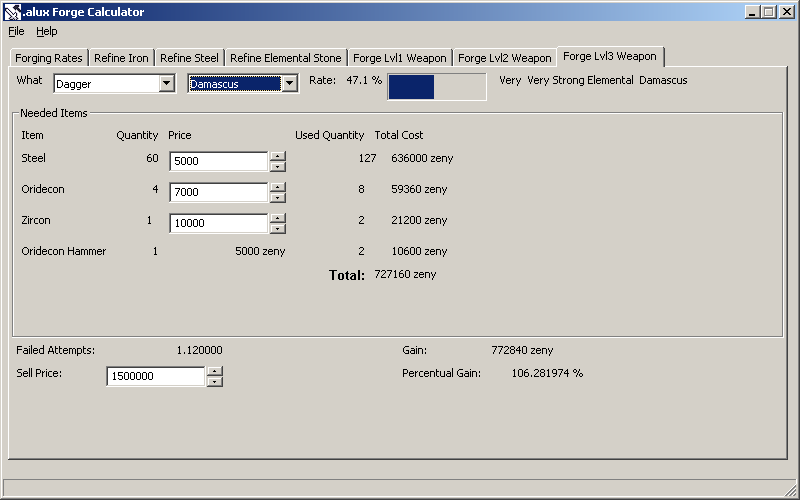 This program calculates forging rates for Blacksmiths in Ragnarok Online, as well as the costs and the gain of the forging process. 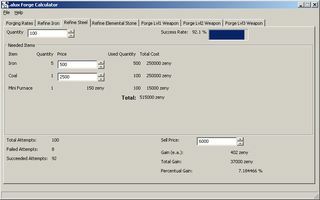 .axForge updated to version 4.5.2R2. 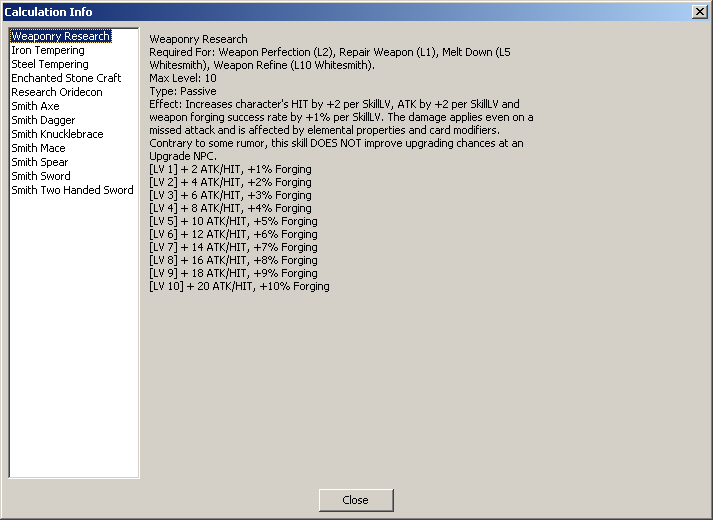 Fixed a typo in 4.5.1R1 not counting some prices in Level3 weapon cost calculation. 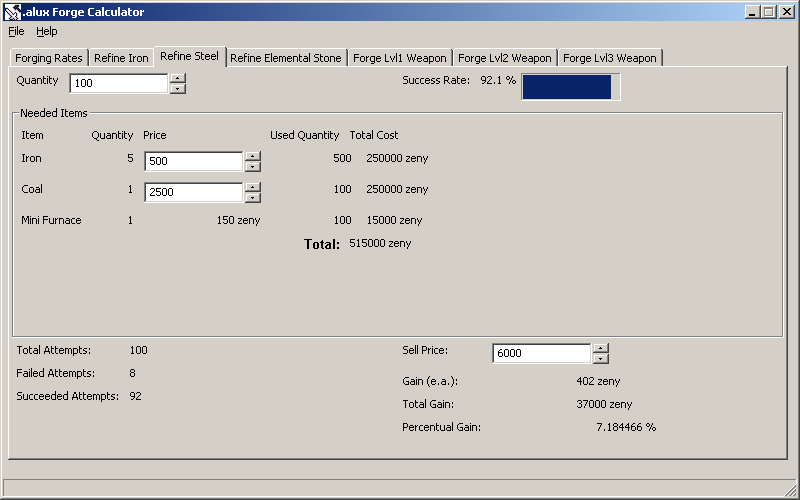 .axForge updated to version 4.5.1R1. Modified form spacing to fix some conditions that made stats input impossible. 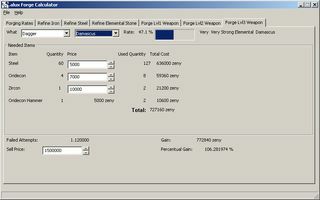 Added Elemental Stones and Star Crumbs in Price Calculation pages. 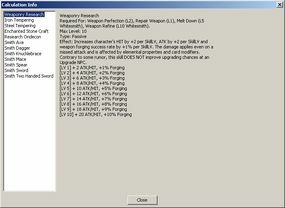 Fixed Blade being erroneously shown in Level 2 weapons. Fixed typos and outdated information in the Mechanics Info page. 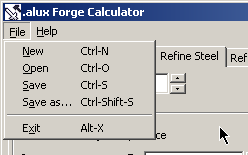 .axForge updated to version 4.4.0RC. Thanks to Kaos for testing/suggestions. 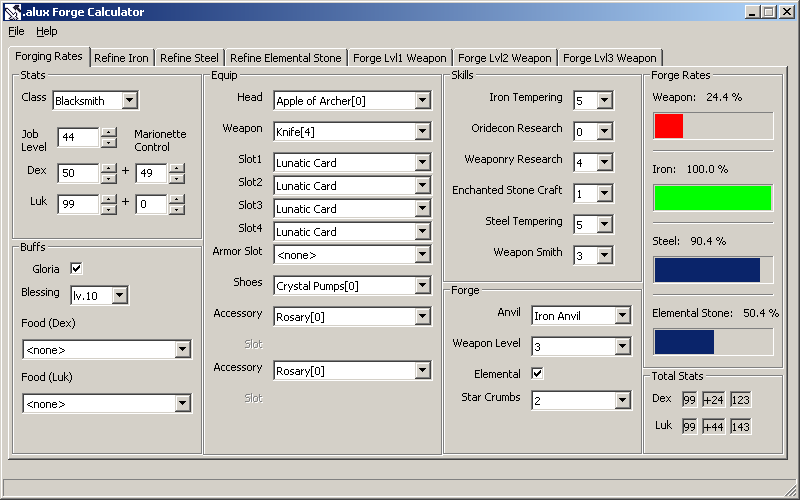 .axForge updated to version 4.3.0RC. 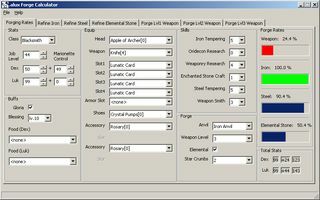 Updated equip management code.